The new MacBook Pro is all about performance. That's the story we heard again and again at an exclusive Apple showcase in New York - from artists, designers, animators, editors, musicians, and developers including the team between the most watched music ever on YouTube. 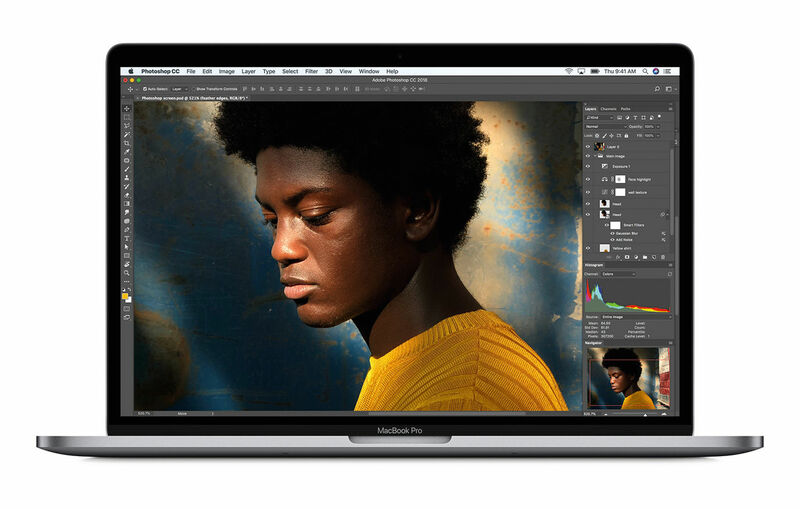 Apple's new 13- and 15-inch MacBook Pros are here with a performance-focussed upgrade that brings six-core chips, more RAM and storage and a new display. Much as the company has been positioning the iPad Pro as a laptop rival - helped by as-good-as-desktop apps like Affinity Designer - the company really wants you to think of the MacBook Pro as the equal of a desktop (as long as that desktop's not an iMac Pro). We got a chance to check out the new-but-identical-looking MacBook Pros, just before they were announced. While we didn't get a chance to test the new MBPs beyond a little typing on the redesigned keyboard, we did hear from users who had tried a new model out for around a week. 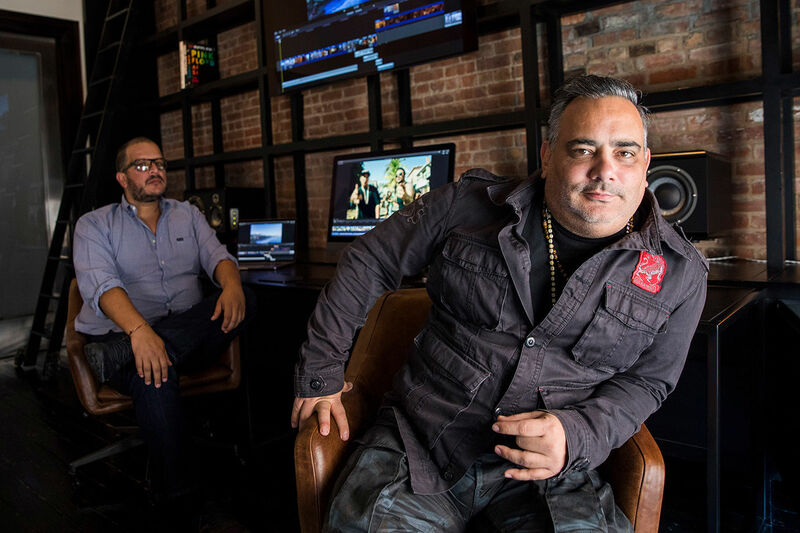 These were carefully chosen to be people who benefit from the highest performance on a laptop, whether Despacito music video director and designer Carlos Perez (below, right) wanting to select his favourite shots from all the 4K his team has just shot while on a plane back from a shoot, to music producer Oak Felder telling us about quickly creating a rough edit of Alessia Cara's current US chart single Growing Pains in his in-laws basement based on a vocal she left him on a voicemail. While most of us aren't working on projects quite as high-profile, we'd also benefit from being able to work quickly with high-quality assets without being tied to our desks, when clients or bosses (or our own brains) need something created right now despite us being away from our usual place of work. 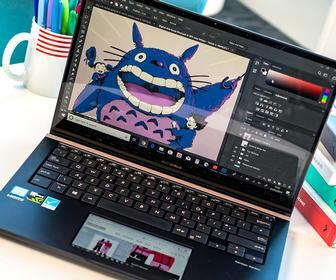 Behind the performance boost - up to 70% on the 15-inch model, with the 13-inch model being twice as fast as its predecessor - is Intel's 8th-generation Core platform. 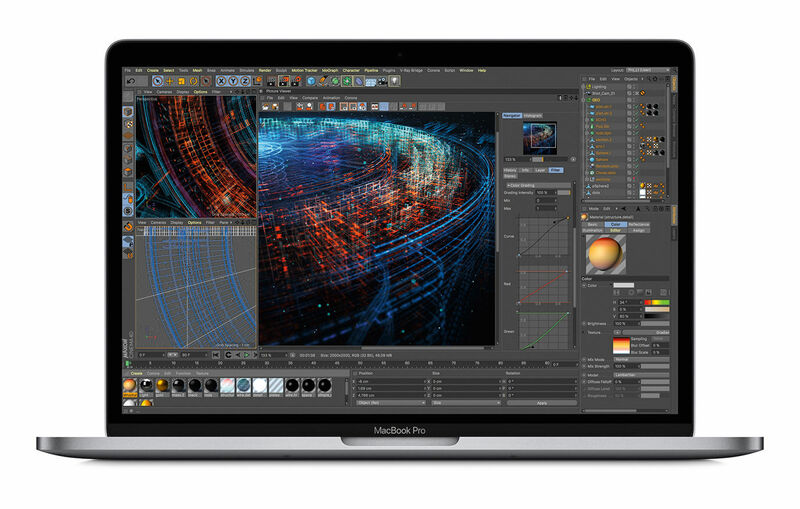 On the 15-inch MacBook Pro, you have a choice of Core i7 and Core i9 processors, each with six cores - as seen on currently available, rival Windows models such as Dell's XPS 15 laptop and Precision 5530 'mobile workstation'. While we can't tell you just what performance boost you'll get from the chips until we receive review units next week, we did hear stories about its additional capabilities, including from artist Aaron Axelrod who creates projection-mapped works such as the below on Frank Lloyd Wright's Hollyhock House in LA (below). He used a previous generation MacBook Pro to run animations though four projectors, and thinks that with the new model he'll be able to use six projectors for more intricate works. The chip options top out at the six-core Intel Core i9-8950HK, which runs at 2.90GHz but can crank itself up to 4.80GHz when using 'Turbo Mode' to speed up some cores by turning off others. Equally important as the new chips, the new 15-inch MacBook Pro offers up to twice the RAM of previous models - 32GB, up from 16GB. This is important for Apple, as it was criticised for the previous generation only offering up to 16GB when older rival PC laptops offered up to 32GB. RAM specs fans may be pleased to know that it's DDR4-RAM running at 2.66GHz. With six cores rather than the previous chips' four, the new Intel platform draws more power. For this reason, Apple has included a larger battery, though it says the weight of the laptop remains the same. What has changed though, is the display. It borrows the True Tone display technology from the iPad Pro, adjusting to the lighting conditions around you. 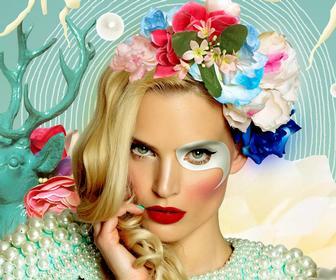 While automatically changing colour tones sounds like an artist, designer or editor's nightmare - you would likely turn it off while in most well-lit environments. But if you were somewhere with a high colour cast to the lighting - such as photographer Daniel Beltra editing photos inside a red tent - it could prove very useful. However, the screen's resolution and colour capabilities remain the same. It's 2,880 x 1,800, lower than the 4K offered by competing laptops for Dell, HP, Lenovo and the like - and Apple makes no claims of full Adobe RGB colour gamut support like those do. There's also no touchscreen option, favoured by those of us who often have to work in cramped conditions from Thameslink train seats to packed cafes. The True Tone tech has also been applied to the Touch Bar, for a nice bit of visual consistency. Also new is up to 4TB of internal NVMe storage and the same T2 chip as the iMac Pro. This doesn't make MacBook driver trucks off bridges while pursuing Arnie and a teenager on a motorbike in a desperate attempt to change history, but lets you ask your laptop questions by saying "Hey Siri". It also can also encrypt/decrypt data on your hard drive without impacting that's performance. The new keyboard is described by Apple as its 'third-generation butterfly keyboard'. The keyboard on the older model had a reputation for being unreliable - to the point that Apple is running a keyboard repair programme. Apple says that the main difference with the new keyboard is that it's quieter, but the team behind Apple product repair guide site/equipment store iFixit have claimed that, after taking a new MacBook Pro apart, the lower keypress volume is a side-effect of better dust-protection. Giving it a quick test, it was relatively quiet - though still slightly noisier than my Dell Precision laptop's. It felt lighter to the touch than the Dell, but not tacky. There are two different species of 13-inch MacBook Pro. The model without a Touch Bar hasn't been updated, while the new Touch Bar model offers quad-core Core i5 or i7 chips - so is up to twice as fast as the previous model. As with the 15-inch model there's a larger battery, the T2 chip and the third-gen keyboard. Other specs include up to 2TB of storage and Intel Iris Plus 655 graphics. Pricing for the MacBook Pro remains the same. 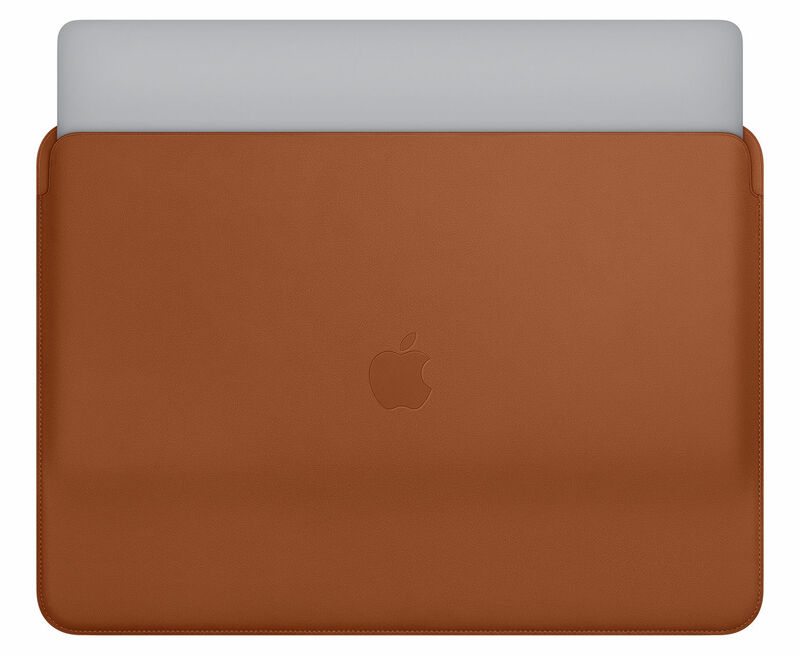 The 15-inch costs £2,349 inc VAT/$2,399 for a model with a 2.2GHz Core i7 chip, 16GB RAM, Radeon 555x graphics and a 256GB SSD. £2,699/$2,799 gets you a 2.6GHz chip, 16GB RAM, Radeon 560x graphics and a 512GB SSD. Upgrading that model to a 2.9GHz Core i9 adds £270/$300, to 32GB RAM is £360/$400 - for a total of £3,329/$3,499. Upgrade the storage to the max 4TB and you'll add a whopping £2,280/$3,200 for a shipping price of £6,209/$6,699 - though if you're working on the kind of project where you need 4TB of internal storage (like high-end music videos, for example), you can probably afford it. The 13-inch model begins at £1,749/$1,799 with a 2.3GHz quad-core chip, 8GB RAM and 256GB storage. You can order both models today from Apple's website and they should ship this weekend in the US, next week in the UK and other countries. 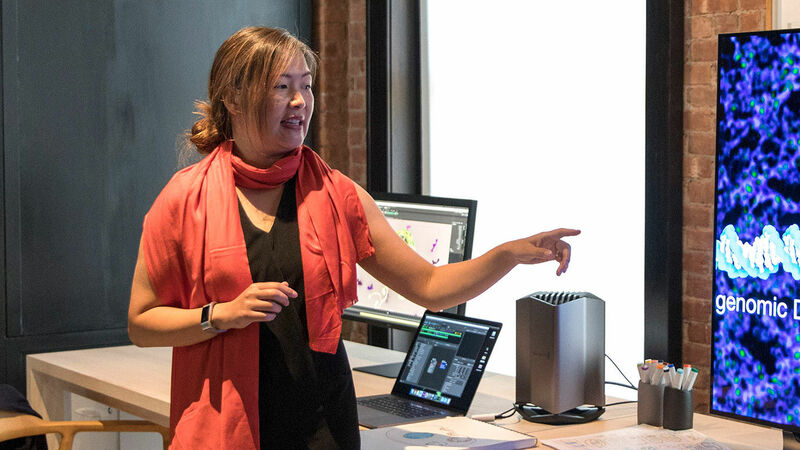 Launched alongside the new MacBook Pro were a new series of leather sleeves - available in Saddle Brown (above), Midnight Blue and Black - and the first eGPU box from Blackmagic Design (below, with scientific animator Janet Iwasa). Best known for its DaVinci Resolve colour-grading software and 4K cameras, Blackmagic's eGPU is the first to be an all-in-one unit. eGPUs are essentially boxes with power supplies and a Thunderbolt port that you put a graphics card inside, which boosts performance of laptops (and desktops) for real-time 3D graphics and any other process that can use the GPU - for example some 3D renderers such as AMD's ProRender, some effects in Premiere Pro and Final Cut, and even some Photoshop filters. 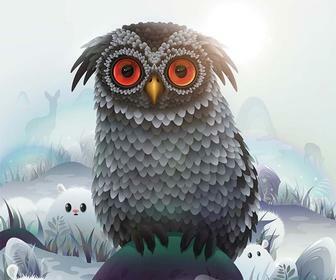 Some applications, such as Cinema 4D, can work with multiple eGPUs. Most eGPUs are chunky boxes you can insert a range of different cards into. 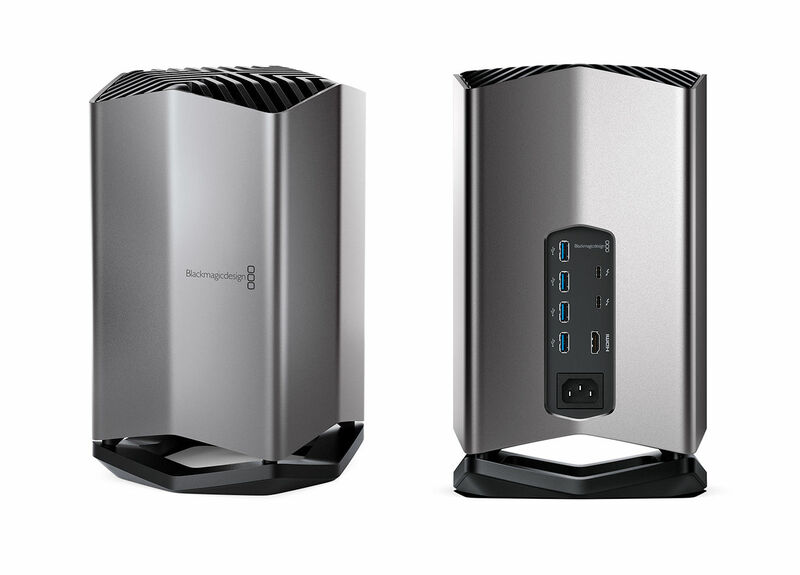 Blackmagic's eGPU is small, sleek and has a non-removable Radeon Pro 580. The benefits of this, it's claimed, are that it's quieter than a traditional eGPU. The downside, of course, is that you can't swap the card out for a more powerful one at a later date. The Blackmagic GPU will be available shortly, and costs US$699 (around £530, though UK pricing has yet to be announced). It'll be available exclusively through Apple's site and some stores.